The Guild of Photographers - Olympus TG-5 Tough Arriving this June! 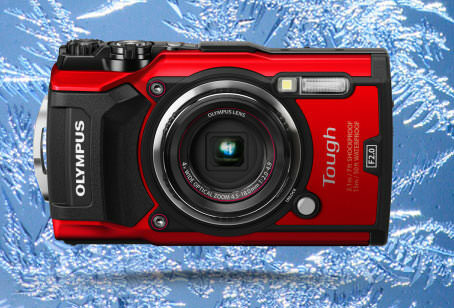 Olympus TG-5 Tough Arriving this June! Just about "proof" to anything! Olympus introduce the new TG-5 Tough. If you want to shoot tiny subjects that you may struggle to see with the naked eye in great detail for that special shot, then the Olympus TG-5 Tough could just be for you! The maximum 7x (35mm equivalent) image magnification of the TG-5's advanced, four-mode Variable Macro System (with Microscope, Microscope Control, Focus Bracketing and Focus Stacking Mode) makes this possible.In Microscope mode, the camera can capture subjects as close as 1cm.In Microscope Control mode the display magnification factor can be changed to a maximum of 44.4x with the zoom lever. The TG-5's cutting-edge image technology makes that easier than ever.It's high-speed TruePic VIII processor allows you to record in incredible 4K resolution and create full-HD sized, 120fps slow-motion movies. Scheduled to be available from June 2017 and at a cost of £399.99, interested?